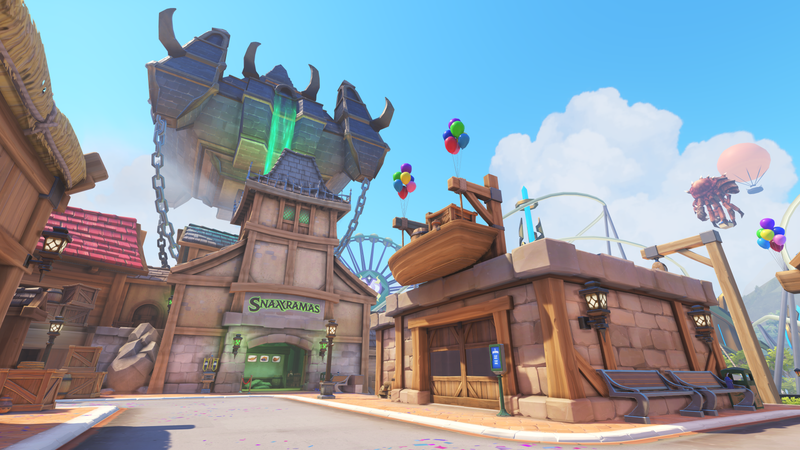 Overwatch’s newest upcoming map is a crazy theme park full of World of Warcraft, Hearthstone, Starcraft and other Blizzard games’ lore. So Blizzard can advertise its other games to you while you’re playing Overwatch. Yay! Blizzard World will be part assault and part payload and released early next year. This is almost certainly the “Yo Dawg” of Blizzard IP.